As I went through a pile of old magazines my mother had I spotted a “Cuisine At Home” with chicken piccata on the front that looks so good, so I took it, rather than it going to the recycle bin…Thanks Mom!! 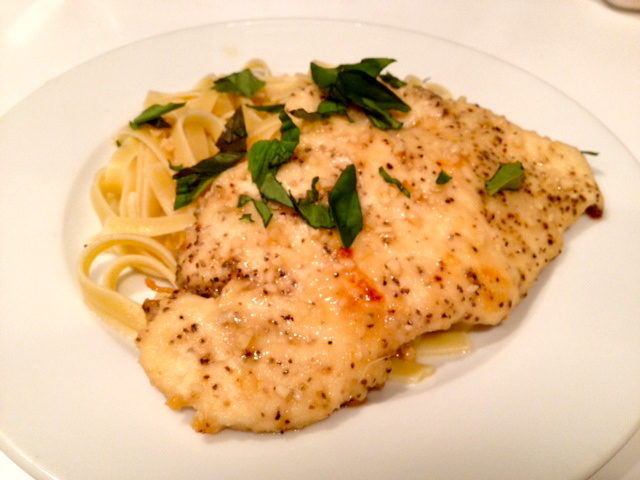 I just now am getting around to opening the mag (months later) & I went straight to the piccata recipe took a look at what I needed for it, and it was, winner, winner, chicken dinner!! Cut the chicken breast in half, place them in a gallon size zip close bag (with a bit of water – allows for easy movement) and pound them to 1/4″ thick. Place chicken on a cutting board and salt and pepper to taste. Sprinkle with flour. Spray pan with non-stick cooking spray and add vegetable oil heat over med-high heat. 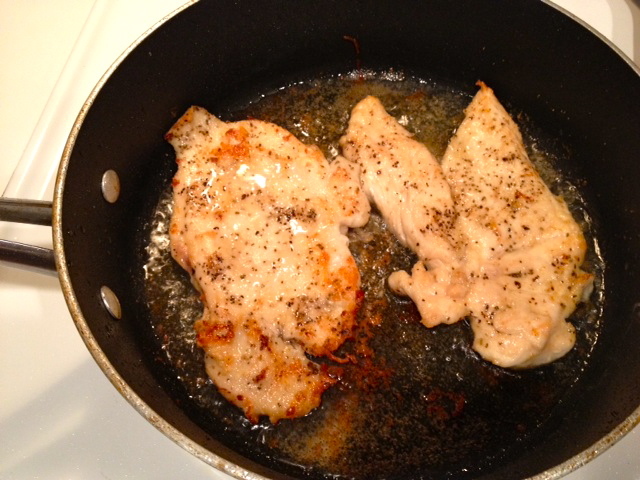 Saute cutlets for 2-3 minutes on each side, flip cutlets over and saute other side 1-2 minutes with pan covered. 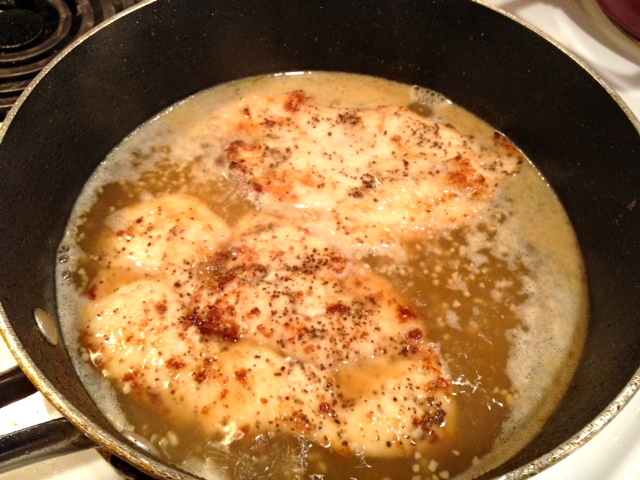 Transfer cutlets to warm plate, pour off fat from pan. I place my chicken in the oven on warm while making the sauce, and if waiting for the pasta to finnish cooking (if you want to use this sauce for pasta too, double or triple it). Deglaze the pan with white wine and add minced garlic, cook until garlic is slightly brown and liquid is almost gone, about 2 minutes. Add broth, lemon juice, and capers. Return cutlets to the pan and cook on each side for 1 minute. 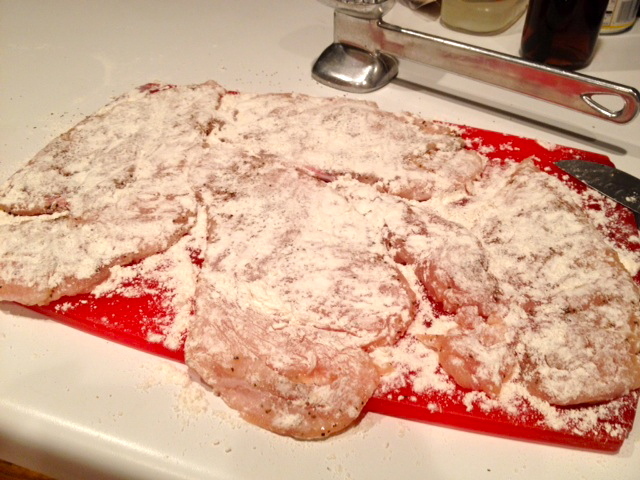 Transfer cutlets to the serving plate. Finnish with butter and lemon slices, once butter melts pour sauce over cutlets and serve with fresh parsley on top. P.S. 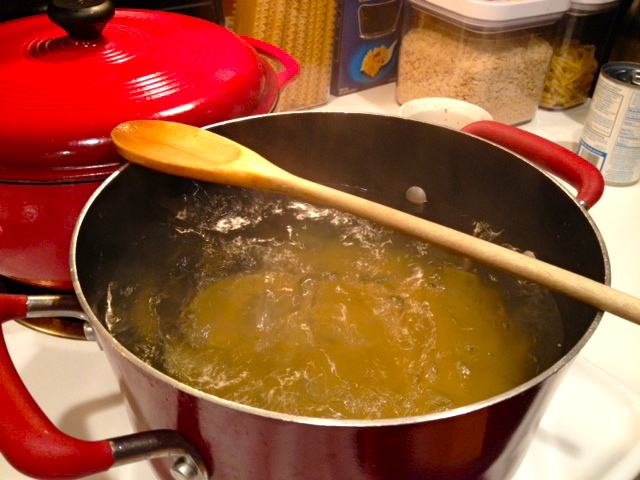 I learned a cool little trick on Pinterest, if you place a wooden spoon over a boiling pot, it wont boil over….its worked so far for me!! 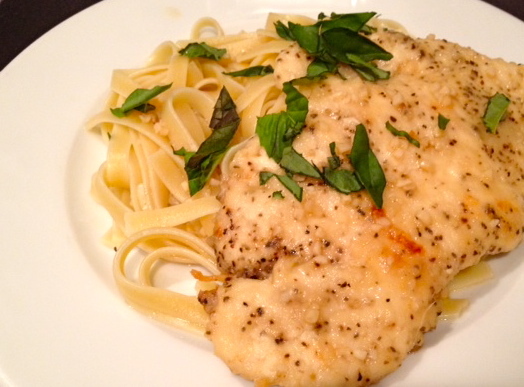 Categories: Chicken, Italian Food, Sauce / Salsa | Tags: chicken, Italian | Permalink.